Job Opportunity At State University Of Zanzibar (SUZA)-Deputy Vice Chancellor for administration. 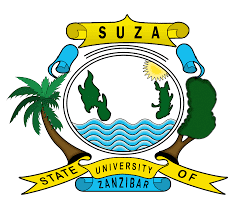 Zanzibar University (ZU) is seeking to recruit a highly qualified and committed Tanzanian to fill the vacant post of Deputy Vice Chancellor for administration. A candidate must have a least a master’s degree in Social Sciences based in management or administration with not less than five year experience in similar position at a recognized higher learning or service institutions. 3. Perform any other duties as may be assigned to him/her by his senior. also indicate his current postal address, telephone number and e-mail. documents directly to our offices in Tunguu, during office hours. Deadline for receiving application is 25th December, 2017. Only the shortlisted applicants will be notified.